Sure, you could pay $2.99 for this excellent game, but what's the fun in that? 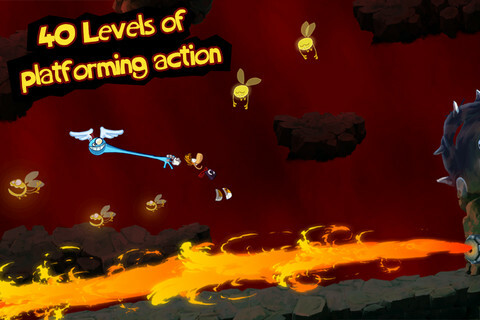 Rayman Jungle Run is one of this week's coolest games for iPhone and iPad. We reviewed it, we love it and just so happen to have an extra code for the iOS version. Want it? We'll gladly send the code your way, but first, you'll need to enter and win this contest. Just answer this simple question: What is the greatest platformer of all time? Could be Rayman Origins. Could be Super Mario Bros. 3. Either way, we want to know. On that note, we'll randomly pull the winner this Saturday (September 22) and notify the lucky recipient shortly thereafter. Good luck!